The majority of people who visit Buga, a small city a couple of hours north of Cali, do so for religious reasons. 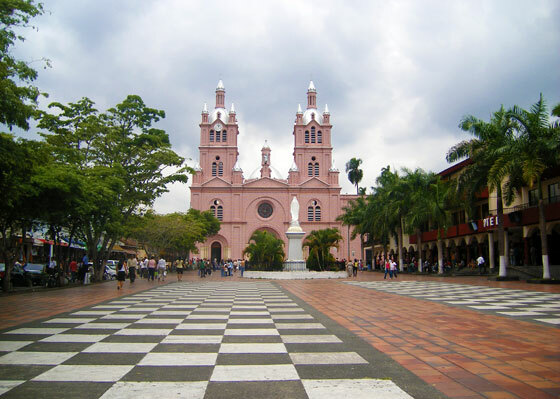 The city's main attraction is the Basilica del Señor de Los Milagros, (Basilica of The Lord of the Miracles) a huge church opened in 1907 which stands at the end of a long walkway, somehow adding even more to it's grandeur. Some 1 million pilgrims come to the Basilica each year, so it is rarely quiet. On both sides of the walkway that leads to the cathedral are shops and markets offering, almost exclusively, religious trinkets. There are also many restaurants in the city, many within the environs of the cathedral. As well as Basilica del Señor de los Milagros there also another couple of churches of note not far away. 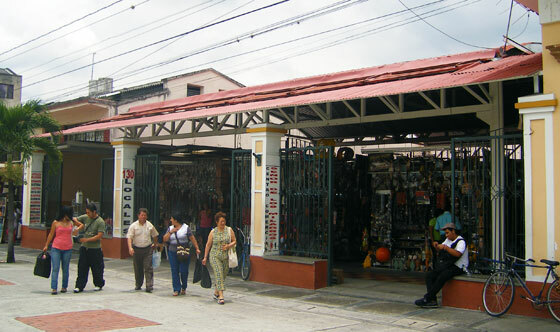 One, Iglesia San Francisco, is situated on carrera 14 a block from the cathedral. Also of some interest is Catedral de San Pedro Apostol, found about a block further on the corner of Parque Cabal. The best hotel here is Hotel Guadalajara. It is situated in the south of the city half a dozen blocks from the Basilica. 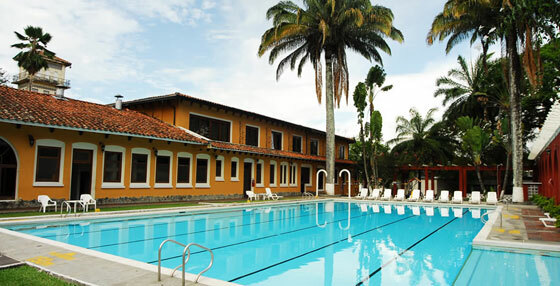 The hotel features a large outdoor swimming pool and a decent restaurant. Another good choice is Hotel San Julian. Just a few short blocks from the Basilica, this colonial-style hotel includes a pool, sauna and Turkish bath. Buses leave Cali for Buga very frequently and cost about $10,000. Try to take direct buses rather than those that take a detour through Palmerias (unless of course you want to visit Palmeiras, although frankly I wouldn't bother as there is very little of interest). Taxis are available in the city, although most places of interest are within walking distance of the bus terminal.